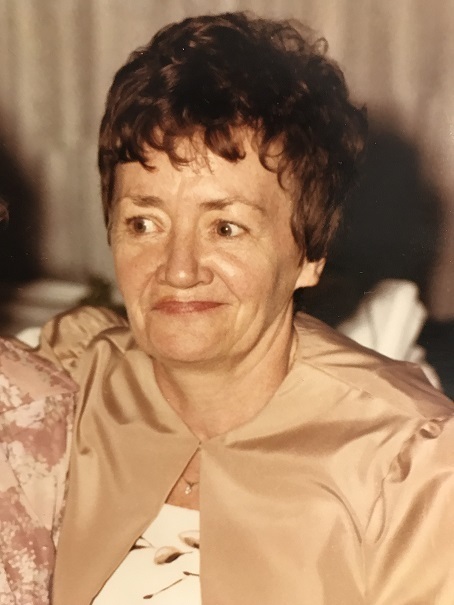 Catherine Prunty passed away on Sunday at her home in Raritan. She was 90 years old. Catherine, or Kay as she was called, was born in Jersey City and lived in Ireland as a baby before returning to grow up in Manhattan. She graduated from Cathedral High School in Manhattan and worked for Chase Manhattan Bank prior to marriage. She was predeceased by her husband Ed in 2004, as well as by her brother Patrick Brosnahan. She is survived by her children: Patricia Prunty of Philadelphia; Mark Prunty and his wife Tami of Bridgewater; Eileen Schaney and her husband Dennis of New Canaan Connecticut, and Maura Compta and her husband Ed of Frenchtown. She is also survived by her grandchildren Tara Prunty; Connor, Eamon, and Kieran Schaney; and Jacqueline and Alex Compta. Kay loved to crochet and bake, tell stories, and play bingo. Most of all she loved to be surrounded by her family and especially her beloved grandchildren. Visiting will take place on Wednesday from 9-10:30 AM at the Gleason Funeral Home 1360 Hamilton Street in Somerset followed by an 11 AM funeral mass at St. Matthias Church in Somerset. Entombment will follow at Resurrection Cemetery in Piscataway.